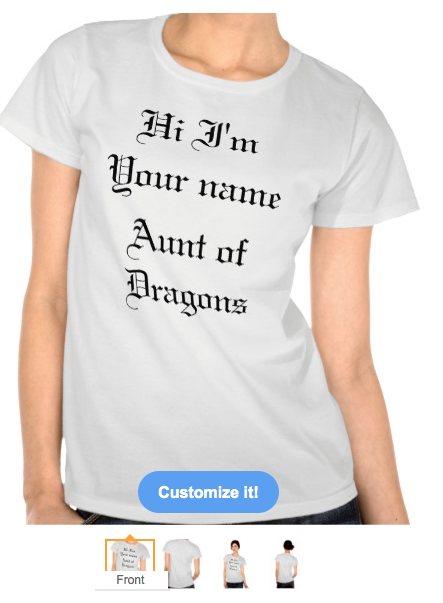 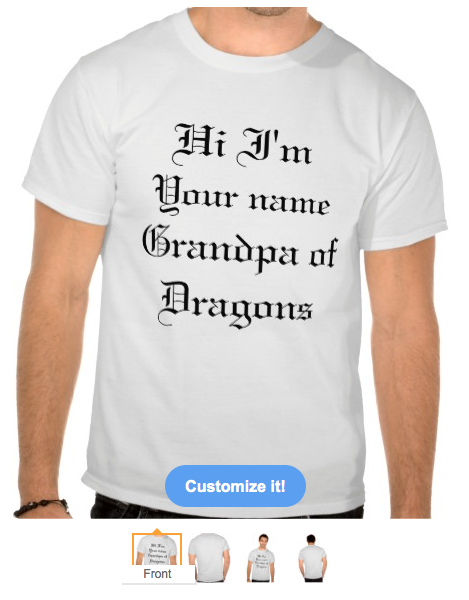 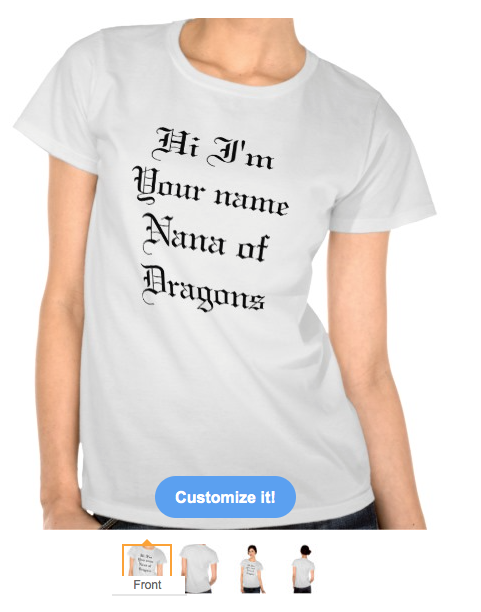 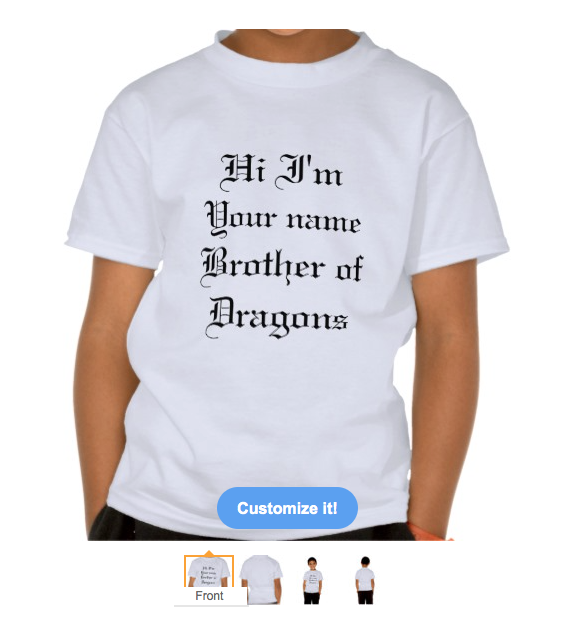 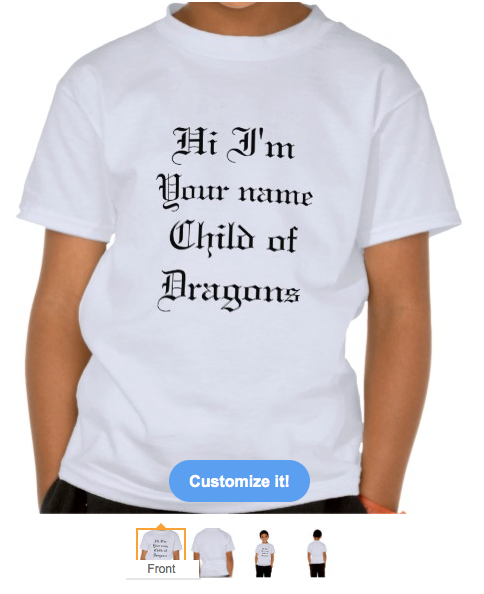 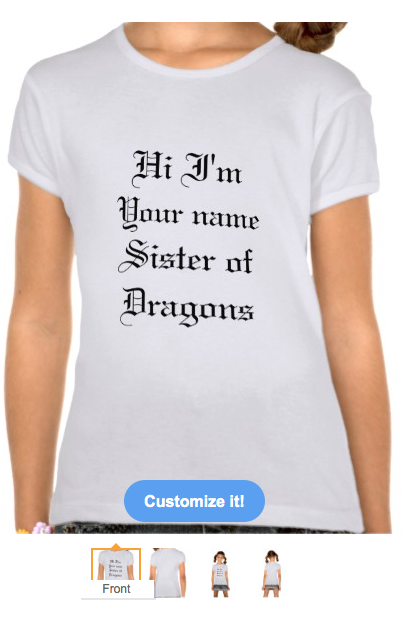 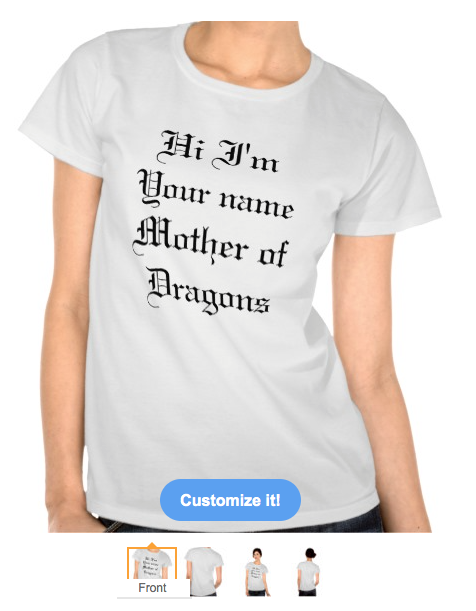 These funny Mother of Dragons shirts can be found in my pie day designs store on zazzle. 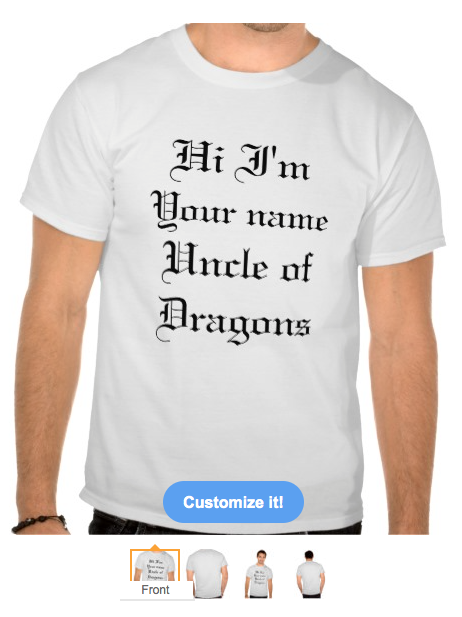 They are fully customisable. 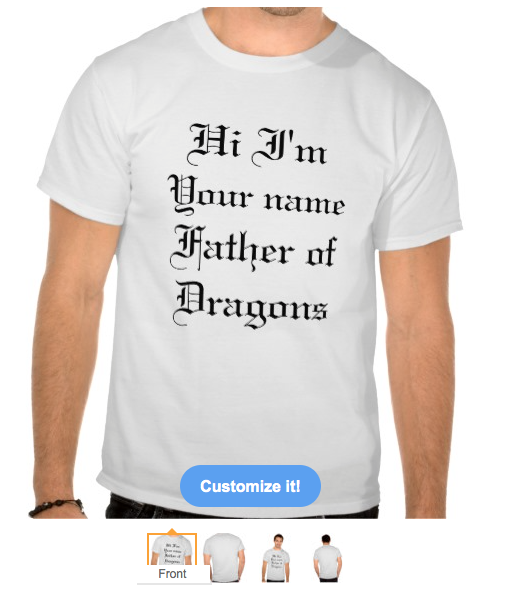 You can enter your name and change "Mother of Dragons" to "Father of Dragons" or any other text. 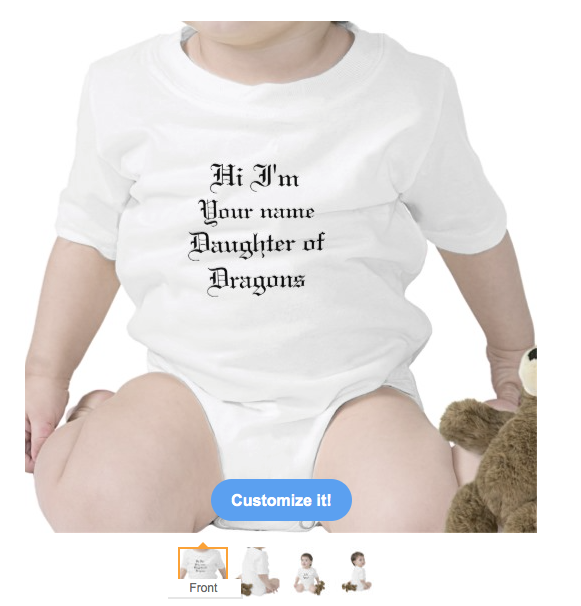 This humorous text is written in Old English, Gothic script.